Given that the following are true. They take the same amount of work to install. Doubles are twice as useful. Double adapters are a thing. Why do single electrical receptacles even exist? 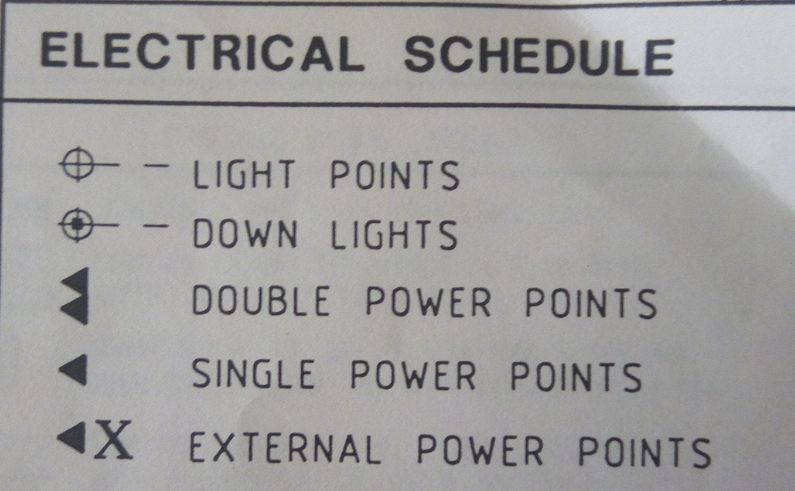 I was looking at the plans for a house and some of the power points were specified to be singles. Is it a code/standards compliance issue? It can't be to make a house $2 cheaper, they wouldn't be worth manufacturing if that were the case. Someone edited this to say "Receptacles". I assume that's an Americanism? Sounds very odd to me. 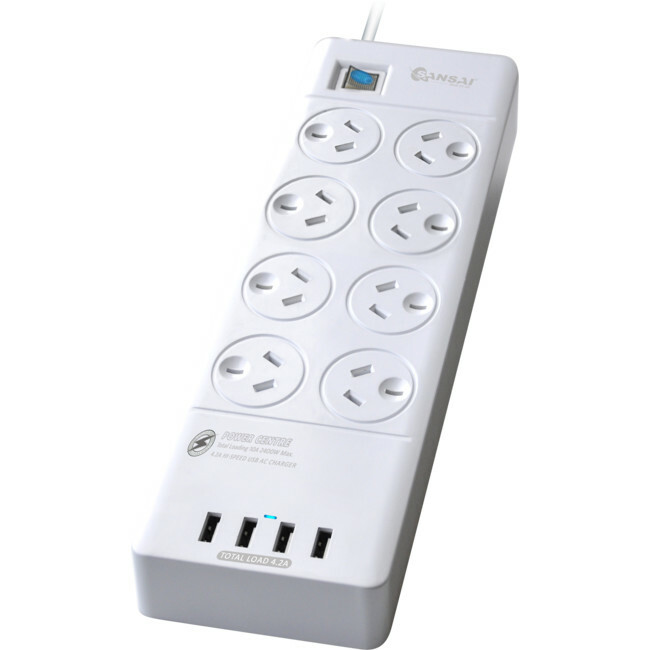 Standard Australian power points. They're the same size, fit in the same hole, and have the socket in almost the same point. I've seen singles mostly in older houses. I thought maybe doubles used to be more expensive, or maybe they just ran out and put a single in. But then I saw the building's wiring overlay and somebody decided - in the planning stage - that for some reason that point needed to be a single. I know it's of no real importance, but this has been bugging me for years. This is just an average room in an average suburban house. No basement pump. (Cultural note: Australian houses don't have basements. Until recently, we tended to spread out horizontally, not vertically.) There's nothing that would be damaged if the power failed. Except the fridge, and I've never seen a fridge with it's own circuit. We live in a world where these exist. So if single power points are supposed to be the solution to stop people plugging in two devices, someone should rethink that. Recessed for clock or behind a TV. In this case, it is sometimes easier to use with one centered receptacle instead of top or bottom of a duplex receptacle. Air conditioning, range, dryer or other larger-than-usual circuit (in the US, this means anything > 120V or > 20A). I believe in at least some cases this is a code requirement. Refrigerator or freezer in a GFCI-required area in order to avoid GFCI requirements (subject to local code and AHJ). 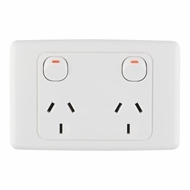 In this case a second receptacle would be indication of intent to plug in additional devices rather than using a single receptacle for a specific exemption. Cooktop ignition. I have this in my own house. My electrician installed a single receptacle as (a) there is no reason to ever plug in anything else inside the cabinet under the cooktop and (b) he installed it "upside down" - ground pin on top - instead of the more typical (for the US) orientation, for an extra little bit of safety (which would be awkward/confusing elsewhere but for the seldom unplugged cooktop is perfectly fine). The same logic would apply for a single receptacle for a garbage disposal. Specialized sensitive equipment - e.g., medical or computer - to minimize interference from other equipment on the same circuit (e.g., there are devices that will reboot due to voltage drop if a laser printer starts printing on the same circuit, but which will be fine as long as they are on separate circuits - and any time you have an open receptacle it becomes "available" for a printer or vacuum cleaner or whatever). Backup power - if you have a generator or battery backup with limited power then using single receptacles is a way to make sure that only the specified loads are on the automatically transferred circuits. I am sure there are more reasons - if anyone has any good ones, feel free to add to this list (or make your own answer if you prefer). Nobody installs one of these by mistake - they're a lot more expensive, to start with! When you find one, it has a specific purpose for being there because of a Code requirement for its application. It may be in a place where GFCI protection is required, but it is appropriate for this individual load to not be GFCI protected. An example is a refrigerator or freezer in a basement or garage. It may be effectively a dedicated circuit, provisioning power to a single large appliance that needs the entire circuit's capacity. An example might be a large window air conditioner, dishwasher, or built-in microwave oven. In these cases, providing only one socket is on purpose. It is to prevent you from using the circuit for anything else. Now, you may know that every room is supposed to have receptacles at certain intervals, (12' in most rooms, 4' on kitchen countertops). These special-purpose receptacles won't count, so you should find a normal receptacle nearby. 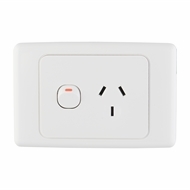 Sometimes a single receptacle is installed to ensure that the circuit is dedicated to a single appliance. For example, you might install a single receptacle for a sump pump in the basement. If you install a regular duplex receptacle, someone might use that second receptacle and trip the breaker. Nobody notices and the basement floods because the pump is offline. Other examples where a single receptacle might be a good idea: refrigerator or storage freezer. Not the answer you're looking for? Browse other questions tagged electrical receptacle code-compliance or ask your own question. Are receptacle surge protectors a practical solution? How do I troubleshoot power receptacles? Would it ever make financial sense to install a GFCI breaker vs an GFCI outlet? Do Tamper resistant receptacles violate ADA barrier-free requirements? Would it be reasonable and legal to use AFCI receptacles next to a panel instead of AFCI breakers? No power at outlets but breaker isn't tripped. What do I troubleshoot next? How do by-room electrical code requirements work for a house with open plan or nontraditional rooms?